Simply put, we can all "read minds" to one extent or another. For example, a child gazes wistfully in the window of a candy store. You know what they are thinking, right? Or, a bronc rider gets bucked off before the 8-second buzzer. You have a fairly good idea what they are thinking, too. While this isn't actually "mind reading", you can make a fairly accurate statement as to what is in somebody else's mind. The art of reading minds is just that, an art. Doug Anderson has been studying human psychology, body language, handwriting analysis and more. He incorporates these lessons into an eerily accurate reading of, what appears to be at face-value, your very thoughts. 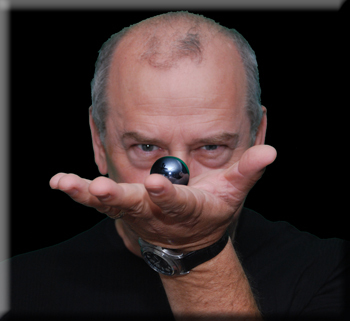 Using a variety of techniques he has fine-tuned over the past 35 years as a world-class entertainer on cruise ships, at corporate events, parties and churches, Doug will bring that experience to you and your event. And relax, he won't really be reading your innermost thoughts... or will he? Oh, and he also knows what you are thinking right now. So, here's his phone number: 918-791-5662.